Standard Goods, a small retailer in Seattle's Capitol Hill neighborhood, would like to bring their unique in-store experience to their online customers. In this concept piece, I worked independently to redesign the retailer's current online store. My focus for this project was to determine what challenges Standard Goods and its customers face and leverage that to craft a thoughtful online experience. This design strategy was then brought to life with annotated wireframes and hi-fi mockup to illustrate how the new design could transfer Standard Goods' unique retail environment to its online experience. This independent project was completed over the course of a two-week design sprint. First, I reviewed the overall site and went through the process of adding items to the cart. Like most small retailers, Standard Goods has many competitors. 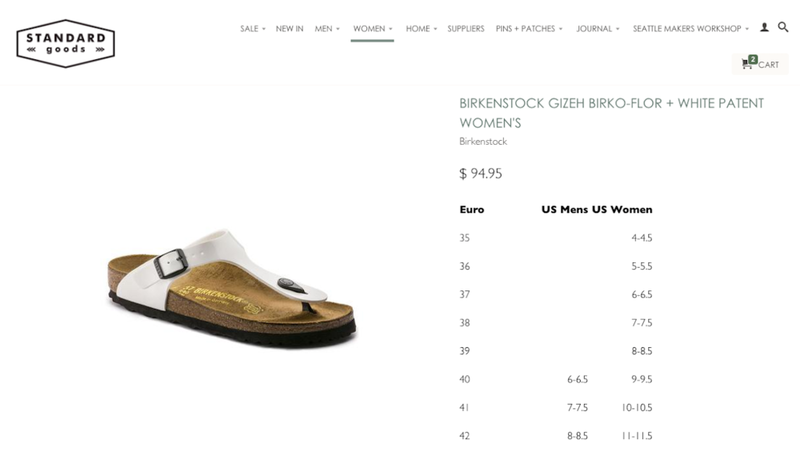 While they are competing with other local stores, they are also competing with larger retailers such as Amazon, Zappos and Urban Outfitters, and individual brand sites such as Pendleton, Filson and Birkenstock, which Standard Goods carries. A small business like Standard Goods is never going to be able to compete with a much larger retailer on price, so the challenge is in determining what drives a customer to choose to purchase an item at Standard Goods over a larger retailer. For the purpose of this project, a proto persona was provided. This persona was used to determine user needs and drive design direction. 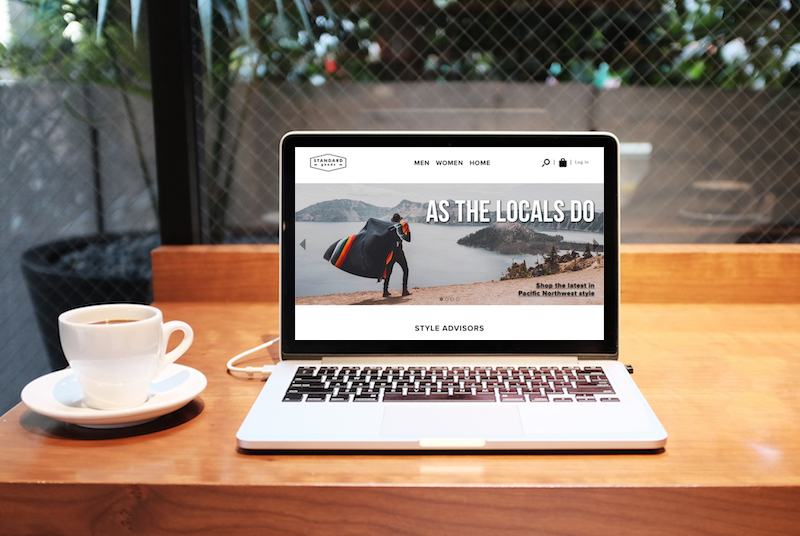 Redesign the existing desktop site to bring the personal in-store experience to online customers by featuring local stylists and their design recommendations. Allow customers to contribute by tagging their own styles on Instagram, to be aggregated on the site. Simplify the overall site structure with fewer categories and more straight forward language. To my initial redesign, I loaded my wireframes into InVision and observed as six users progressed through a given task. Across all six user tests, all users were able to complete the given tasks.